Redefining modern, functional workspaces in a revolutionary way. Professionalism shows in the quality of your work, but it should show in the quality of your furniture as well. Everyone needs fresh air sometimes, and having the proper space is key. Let us shape your outdoor space with benches, tables, and planters. Let your tenants or employees have lunch in style. Some of the most important decisions your business will make are made in meetings. Work together to formulate new ideas and solutions around a Terra Amico conference table. Available in joined plank tops, live edge tops, zinc, or steel. Cultivate a warm and inviting welcome to all your clients and vendors with a well-equipped reception area. 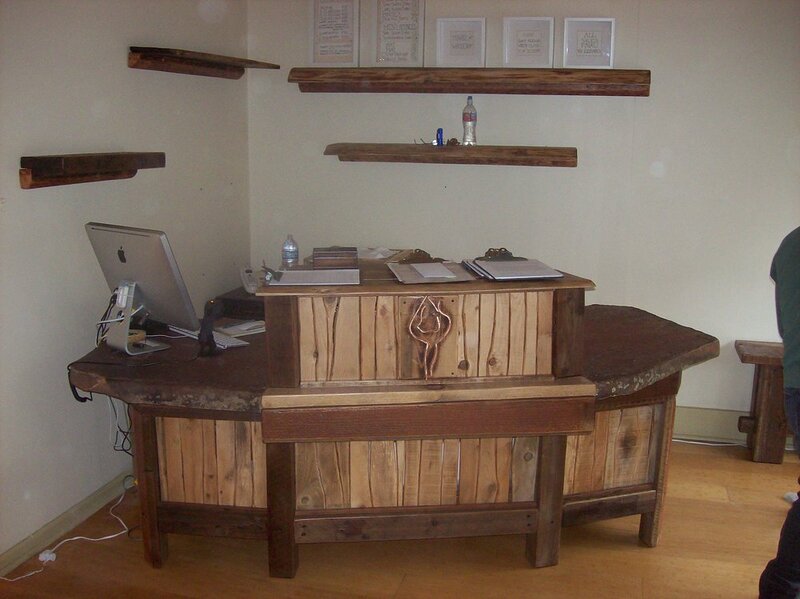 Both stylish, and functional, our custom reception desks will help define the first impression your guests have. Collaboration is critical to success, and we understand that having the proper environment is key. Combining both comfort and professionalism, our communal workspaces and individual workstations will establish an environment that breeds creativity.